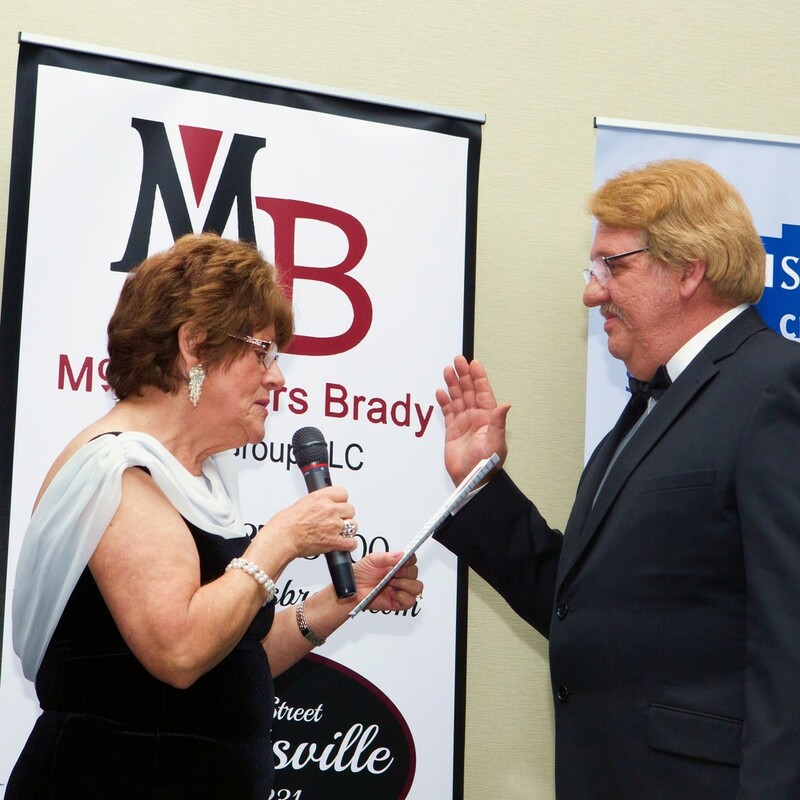 Local Real Estate Broker for MB Realty, Mark Brady, was recently sworn in as President of the Portage County Association of Realtors. Mark has been selling Real Estate in Garrettsville since 1994. In 2007 he and his mother, Dolores McCumbers, opened MB Realty on Main Street. It was one of the worst times in recent history to open a Real Estate Office because the worst market collapse since the great depression was right around the corner. They persevered with a good work ethic, a strong belief in honest representation, and a commitment of putting the client's needs first. They are now a marketing force in the local real estate industry. Not surprising, the Portage Association of Realtors nominated Mark to a leadership role in the Association. Dolores has held this position twice in her career and is always setting the standard on how Real Estate should be done. These lessons are crucial to the development of the newer agents as the MB Realty Team now stands at 14 agents strong. The newly renovated office is located at 8118 Main St.
Garrettsville - a prime location for real estate for nearly a quarter of a century.